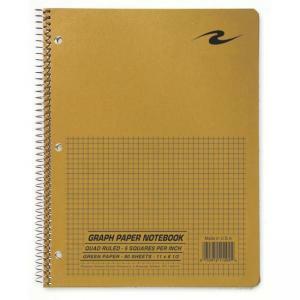 Quad notebook is wirebound to secure pages inside and three-hole-punched to fit inside standard three-ring binders. Each sheet has 5 x 5 quad ruling for technical work. Cover is made of a brown kraft material. 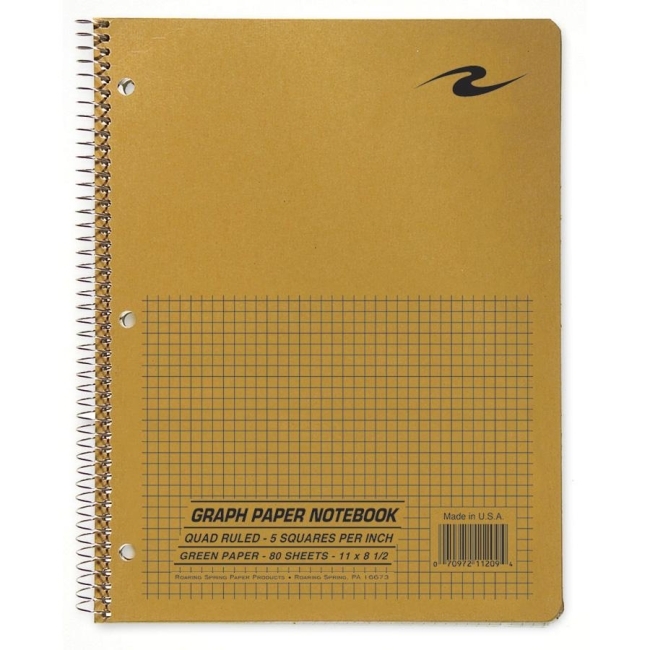 Notebook contains 80 sheets (15 lb. ).